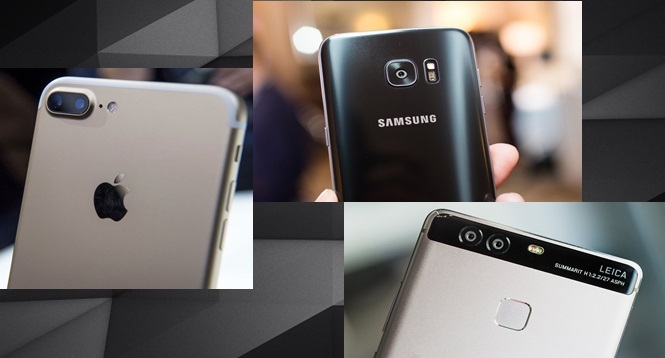 Samsung, Apple and Huawei – which is the best camera phone? In a similar phone blind test that Vox Pop did, this time with 50 respondents, the results are almost the same. The Samsung Galaxy S7 lags behind the two other brands in all categories, getting only 12%-18% of the respondentsâ€™ nod. The iPhone 7 Plus ranks in second, getting 30% of the votes for the bokeh category and 34% for the monochrome selection. As for the rest of the features tested bokeh, monochrome and vivid Huawei P9 proves to be the best and it can be said that the brand’s partnership with Leica has turned out to be the most wonderful decision it has made to date.